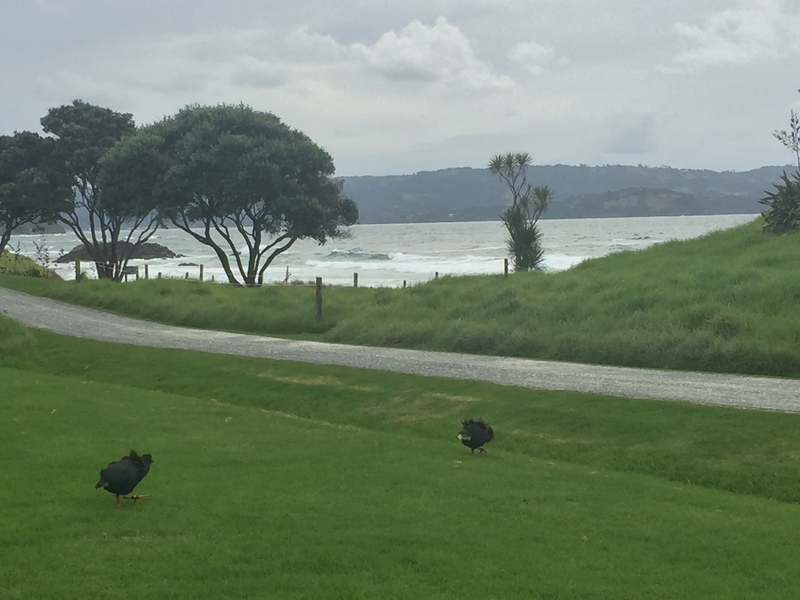 We drove an hour north and arrived in Matakana at 9:30am. Matakana village is known for its weekly market which has live music, a variety of things for sale – from locally sourced seafood to vintage luggage – and an all around chill vibe. The market backs up to a stream so we grabbed a fresh cannoli and watched kids throw pieces of bread to the birds and eels. 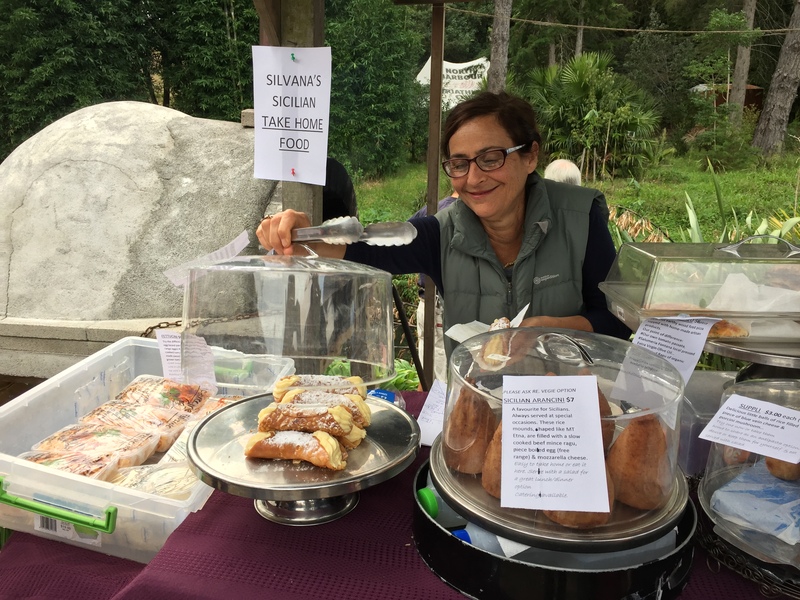 Based on what’s on offer at the market I reckon the wildlife makes a point to meet at the same spot every Saturday morning for their organic, ethically sourced breakfast. The building that borders the outdoor marketplace houses Matakana Cinemas. Eager to support a Kiwi film and get up to speed on the movie everyone’s talking about we bought tickets to Hunt for the Wilderpeople. The theatre was quirky with a ceiling completely covered in roses and roomy couch-like seats. The movie was great too! 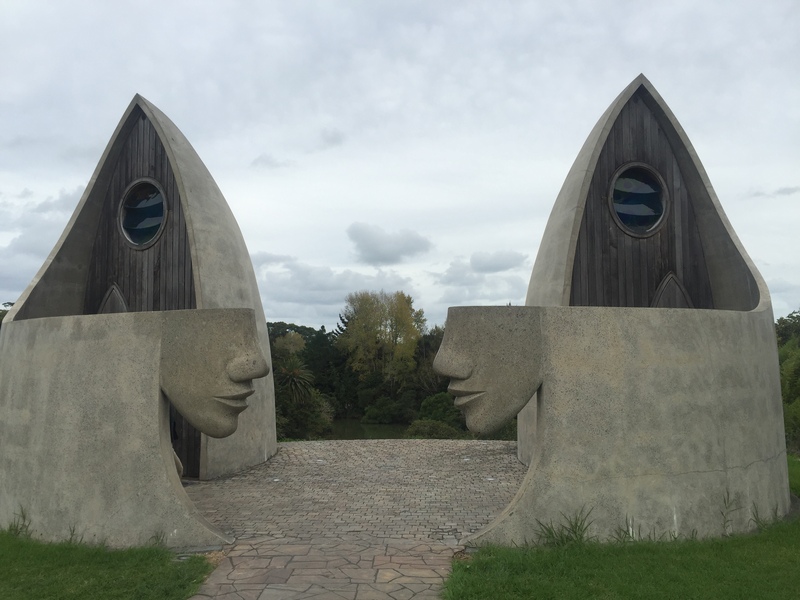 We drove fifteen minutes to the coast to Tawharanui Open Sanctuary, a unique blend of conservation, recreation and sustainable farming within Tawharanui Regional Park. Due to high tide we were unable to complete the hike we originally planned and decided to walk the Ecology Trail instead. Five minutes into the hike we saw three takahe, a colourful green and blue bird with an impressive red beak and short stout legs. The flightless takahe are classified as an endangered species. So exciting to see them! As we continued on the trail we followed the shoreline along the beach and up & over rocks before curving inland through pastures, wetlands, and native bush. We spotted tui, pukeko, saddlebacks and other birds I couldn’t identify. Accommodation: n/a This was a day trip.